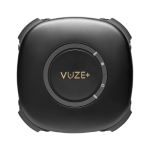 These terms of sale (the “Terms”) will apply in the event that you (the “Customer”) place an order for a product (an “Order” and “Product” respectively) through the vuze.camera website (the “Website”). Please read these terms and conditions carefully before placing your order. If you do not agree with these terms and conditions, you should not order products from the website. Upon successfully completing an Order these Terms shall constitute a binding agreement between the Customer and the Company which cannot be altered, supplemented or amended without the agreement of the Company. By placing an Order the Customer confirms his/her capacity to order online and if the Order is on behalf of a business, the Customer confirms that he/she is authorized to make such Order. This contract can be cancelled only according to the cancellation rights and procedures set forth herein. The Company may change these Terms at any point in relation to future Orders by posting the updated Terms, without separate notification to Customers. Customers are advised to review the Terms each time they place an Order. 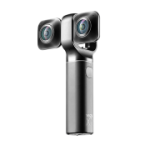 Special Pre-Sale Period TermsNotwithstanding the Terms set forth herein, in the period prior to the Company’s official Vuze Camera product launch (the “Pre-Sale Period”) Orders shall be governed by the following different or additional terms. In the event of any conflict between the Terms and the terms set forth in this section, this section shall govern with respect to the Pre-Sale Period. 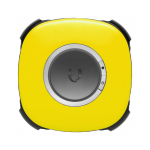 Final design adjustments may be made to the Vuze Camera during the Pre-Sale Period, and there may be certain minor cosmetic differences (texture, button and air vent position etc.) from the pictures posted on the Website. The Company retains the right to charge the Customer for Orders effected during the Pre-Sale Period at any time prior to shipment. A separate notification email will be sent to the Customer detailing the charge and any Customer options. Quotes for shipping or tax charges on Orders during the Pre-Sale Period are an estimate, and the final shipping charge may vary based on final shipping and packaging costs. The shipping and taxes costs will be charged to the Customer’s payment method when the Company charges for the Order. Before the actual shipment of the Order the Customer will receive an estimated delivery date based upon the availability of the Product(s), shipping method selected and the shipment’s destination. The Customer shall be entitled to cancel the Order for any reason, at any time prior to shipment, and shall be entitled to a full refund. For such cancellation please contact the Company’s Customer Support via our Customer Support Form. The Company shall be entitled to cancel the Order for any reason, at any time prior to charging the Customer. All Orders are subject to the availability of the Products. If the Products ordered will not be available within a reasonable time, the Company will inform the Customer as soon as possible and may elect to refund the Order. A description and specification of the Products will be shown on the Website at the time of Order. Every effort will be made to ensure that the information and prices on the Website are accurate at the time of Order. Import taxes and delivery charges may not be included in the price shown on the Website, and the Customer shall be responsible for any such additional fees. In order to make an Order, the Customer will be required to create a username and password and provide certain identifying information. The email address provided will be used to send an email confirming the Customer’s Order. Payment must be received by the Company upon confirmation of the Order on the Website. Payment may be made by credit card, PayPal, or any other prearranged payment method available during the Order process. The Company is not responsible for pricing, typographical or other errors in the cart/order and it is the Customer’s responsibility to check the order and payment amount before completing the checkout process. The Company may charge for the Customer’s order in parts. In the event of any undue or fraudulent charges, the Customer must report such charges to the Company within 48 hours so that the Company can take appropriate measures and refund the Order in question. Shipping and delivery dates are estimates only, and the time it takes to receive the order depends on the shipping method chosen during checkout, and the time of day the order is placed. The Customer must notify the Company within 21 days of the date of invoice if he/she believes that any part of the order is missing, wrong or damaged. Subject to applicable law, the Company may not be responsible for missing, wrong or damaged goods unless notified within this time frame. At the time of delivery, the Customer will become the owner of the products ordered and is responsible for risk of loss or damage to them. The Company does its best to deliver to as many destinations worldwide as possible (subject to applicable carrier restrictions and legal import or export prohibitions), but not to all. The Customer is therefore advised to please ensure before ordering that the Company does deliver to his/her region. Shipping charges will be determined by the weight and shipping destination of the Customer’s Order. All shipping costs will be prepaid by the Customer. All Orders are final and may not be cancelled or modified by the Customer. In the event of any unforeseen difficulties with an Order, the Customer is welcome to contact the Company’s Customer Support Team to inquire regarding the possibility of any accommodation, however the Company shall be under no obligation to allow any modifications or cancellations once an Order has been placed. Return or exchange of any Product following delivery shall be subject to the Return Policy and Exchanges Section below. Products may be returned within 30 days of the shipping date assuming the Product is in its original, unused condition or in case of a material manufacturing defect (DOA). Only items that have been Ordered directly from the Company through the Company’s Online Store can be returned to the Company. To effect a return or exchange the Customer will contact Customer Support via the Company’s Customer Support Form. The Company may request additional information and/or execution and submission of a return form, and will provide the Customer with return shipping instructions. The Customer will bear all shipping costs for returning and/or exchanging any Product. Upon the physical return and inspection of the Products in accordance with the Company’s instructions, the Customer with be refunded the Order price, minus any shipping and handling costs and a reasonable restocking fee. The Customer’s Order is for personal use only and not for any form of resale or export. The Products may not be sold, leased, or transferred to restricted countries, restricted end users, or for restricted end uses according to applicable laws in the Company’s and/or Customer’s jurisdiction. The Limited Warranty set forth below extends only to the original purchaser of the Product from the Company. Subject to applicable law, which may require additional or different minimal terms, the Company warrants the Products against defects in materials and workmanship when used normally in accordance with Company’s published guidelines for a period of ONE (1) YEAR from the date of original retail Order by the Customer (the “Warranty Period”). 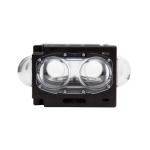 The Company’s published guidelines include but are not limited to information contained in technical specifications, user manuals and service communications. EXCEPT AS PROVIDED HEREIN, THE COMPANY IS NOT LIABLE FOR ANY LOSS, COST, EXPENSE, INCONVENIENCE OR DAMAGE THAT MAY RESULT FROM USE OR INABILITY TO USE THE PRODUCT. UNDER NO CIRCUMSTANCES SHALL THE COMPANY BE LIABLE FOR ANY LOSS, COST, EXPENSE, INCONVENIENCE OR DAMAGE EXCEEDING THE ORDER PRICE OF THE PRODUCT. TO THE EXTENT PERMITTED BY LAW, THIS LIMITED WARRANTY AND THE REMEDIES SET FORTH HEREIN ARE EXCLUSIVE AND IN LIEU OF ALL OTHER WARRANTIES, REMEDIES AND CONDITIONS, WHETHER ORAL, WRITTEN, STATUTORY, EXPRESS OR IMPLIED. NO RESELLER, AGENT OR EMPLOYEE IS AUTHORIZED TO MAKE ANY MODIFICATION, EXTENSION OR ADDITION TO THIS WARRANTY. THE COMPANY DISCLAIMS ALL STATUTORY AND IMPLIED WARRANTIES, INCLUDING WITHOUT LIMITATION, WARRANTIES OF MERCHANTABILITY AND FITNESS FOR A PARTICULAR PURPOSE OR CONFORMITY TO ANY REPRESENTATION OR DESCRIPTION AND WARRANTIES AGAINST HIDDEN OR LATENT DEFECTS, TO THE EXTENT PERMITTED BY LAW. IN SO FAR AS SUCH WARRANTIES CANNOT BE DISCLAIMED, THE COMPANY LIMITS THE DURATION AND REMEDIES OF SUCH WARRANTIES TO THE DURATION OF THIS EXPRESS LIMITED WARRANTY AND, AT THE COMPANY’S OPTION, THE REPAIR OR REPLACEMENT SERVICES DESCRIBED BELOW. 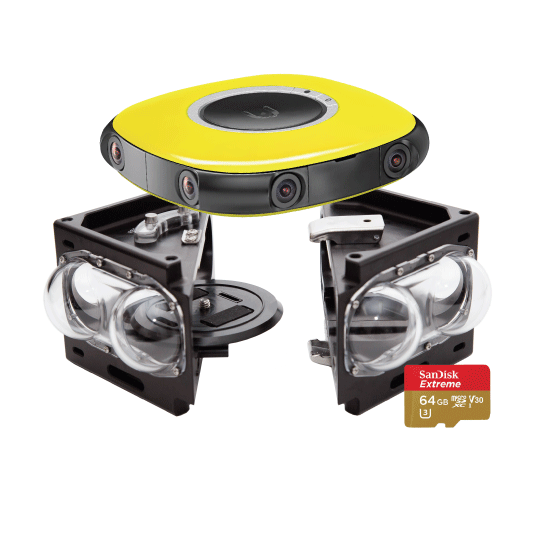 SOME STATES (COUNTRIES AND PROVINCES) DO NOT ALLOW LIMITATIONS ON HOW LONG AN IMPLIED WARRANTY (OR CONDITION) MAY LAST, SO THE LIMITATION DESCRIBED ABOVE MAY NOT APPLY TO ALL CUSTOMERS. To the extent permitted by applicable law this Limited Warranty does not apply: (a) to consumable parts, such as batteries or protective coatings that are designed to diminish over time, unless failure has occurred due to a defect in materials or workmanship; (b) to cosmetic damage, including but not limited to scratches, dents and broken plastic on ports unless failure has occurred due to a defect in materials or workmanship; (c) to damage caused by use with a third party component or product that does not meet the Product’s specifications; (d) to damage caused by accident, abuse, misuse, neglect, improper shipping or installation, fire, earthquake or other external cause; (e) to damage caused by operating the Product through irresponsible or improper use, including not in accordance with the Company’s published guidelines or any non-recommended practices; (f) to damage caused by service (including upgrades and expansions) performed by anyone who is not a representative of the Company or an authorized service provider; (g) to a Product that has been modified to alter functionality or capability without the written permission of the Company; (h) to defects caused by normal wear and tear or otherwise due to the normal aging of the Product; (i) if any serial number has been removed or defaced from the Product; or (j) if the Company receives information from relevant public authorities that the Product has been stolen. Warranty Repair ProcessTThe Customer’s Order number may serve as the warranty number and must be retained by the Customer. To the extent permitted by law the Company may refuse to offer warranty service without this number. If during the Warranty Period the Customer submits a claim to the Company or an authorized service provider in accordance with this warranty, the Company may, at its option, subject to applicable law, either: (i) repair the Product using new or previously used parts that are equivalent to new in performance and reliability; (ii) replace the Product with the same model (or with Customer consent a product with similar functionality) formed from new and/or previously used parts that are equivalent to new in performance and reliability; or (iii) exchange the Product for a refund of the Order price. A replacement part assumes the remaining term of the Limited Warranty or ninety (90) days from the date of replacement or repair, whichever provides longer coverage. When a part is replaced or a refund provided, any replacement item becomes the Customer’s property and the replaced or refunded item becomes the Company’s property. The Company reserves the right to change the method by which the Company may provide warranty service, and any Product’s eligibility to receive a particular method of service. Service will be limited to the options available in the country where service is requested. Service options, parts availability and response times may vary according to country. The Customer may be responsible for shipping and handling charges if the Product cannot be serviced in the country it is in. If the Customer seeks service in a country that is not the original country of purchase, the Customer will comply with all applicable import and export laws and regulations and be responsible for all custom duties, V.A.T. and other associated taxes and charges. Where international service is available, the Company may repair or replace parts with comparable parts that comply with local standards. Limitation of LiabilityTHE COMPANY DOES NOT ACCEPT ANY LIABILITY BEYOND THE REMEDIES SET FORTH HEREIN, INCLUDING BUT NOT LIMITED TO ANY LIABILITY FOR A PRODUCT NOT BEING AVAILABLE FOR USE, LOST PROFITS, LOSS OF BUSINESS OR FOR LOST OR CORRUPTED DATA OR SOFTWARE, OR THE PROVISION OF SERVICES AND SUPPORT. EXCEPT AS EXPRESSLY PROVIDED HEREIN, THE COMPANY WILL NOT BE LIABLE FOR ANY CONSEQUENTIAL, SPECIAL, INDIRECT OR PUNITIVE DAMAGES, EVEN IF ADVISED OF THE POSSIBILITY OF SUCH DAMAGES OR FOR ANY CLAIM BY ANY THIRD PARTY. THE CUSTOMER AGREES THAT FOR ANY LIABILITY RELATED TO THE PURCHASE OF A PRODUCT, THE COMPANY IS NOT LIABLE OR RESPONSIBLE FOR ANY AMOUNT OF DAMAGES ABOVE THE AMOUNT INVOICED FOR THE APPLICABLE PRODUCT. SOME JURISDICTIONS MAY NOT ENFORCE ALL OF THESE LIMITATIONS, AND ONLY THE LIMITATIONS THAT ARE LAWFULLY APPLIED TO THE CUSTOMER IN HIS/HER JURISDICTION WILL APPLY. Governing LawTo the extent permitted by applicable law, these Terms shall be construed in accordance with and governed for all purposes by the substantive laws of the State of Israel without regard to conflicts of law provisions. The Customer agrees that any claim or dispute the Customer may have against the Company and its directors, officers, employees and consultants must be resolved by a court located in the central district courts (machoz merkaz) in the State of Israel, and waive any jurisdictional, venue or inconvenient forum objections to such courts. Customer SupportThe Customer may contact customer support via the online Customer Support Form.